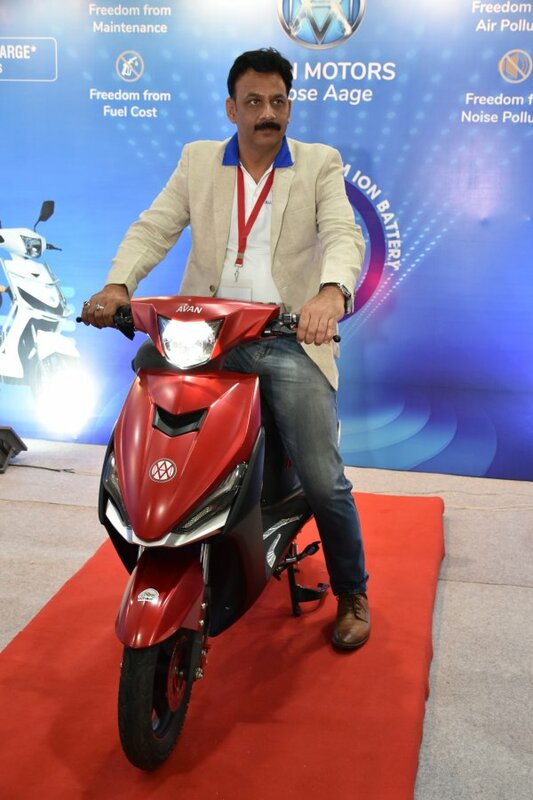 Avan Motors, electric scooter manufacturers in the country, has launched today its electric scooter Trend E, in New Delhi. Trend E Electric Scooter has an ex-showroom price of INR 56,900 for the single-battery scooter and INR 81,269 for the double-battery scooter. The scooter can be booked from today onwards at a nominal booking fee of INR 1,100 for getting delivery by 31st March. The Trend E comes in a combination of colours such as Red-Black, Black-Red, and White-Blue. It is powered by a lithium-ion battery and boasts a top speed of 45 Kmph. The electric scooter covers a distance of 60 Kms with single battery & 110 Km with double battery, and the charge time for the scooter’s lithium-ion battery is 2 to 4 hours as stated by the company. The Trend E comes equipped with a hydraulic telescopic front suspension and a coil spring rear suspension. Additionally, the scooter is furnished with alloy wheels, with disc and drum brakes on the front and rear wheels, respectively. The new stylish scooter comes with masculine looks and with higher ground clearance. The max load each scooter can take is a substantial 150 kgs. Avan Motors India, an EV startup, was founded in 2015 with the intention of bringing stylish and futuristic eco-friendly vehicles to consumers at an affordable price. So far, it has launched its Xero range of smart e-scooters and has plans in place for the launch of 6 more scooters in 2019. It has a manufacturing plant at Hinjewadi in Pune, spread over 22,000 sq ft. The company has 25 touch points across India, and plans to reach 200 touch points by end of 2019.